This holiday season I am offering four pieces available only on my website at special pricing for the holidays- a HOLIDAY GAYLE SALE. All pieces are priced at $100 plus $15 shipping and handling each. I have added a new piece to the HOLIDAY GAYLE SALE -Icarus II. 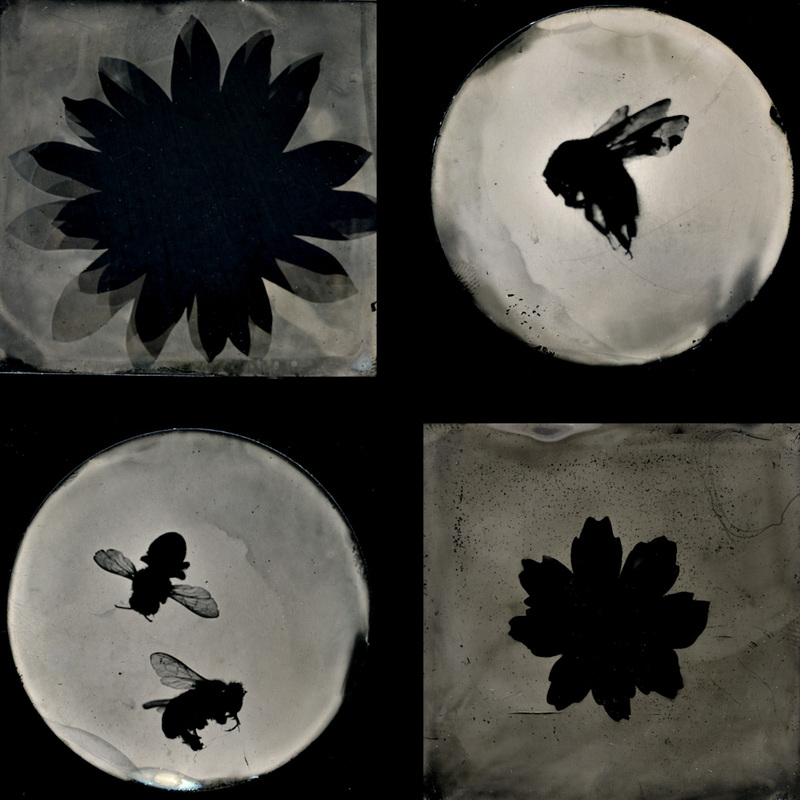 Icarus II is a photogram of a set of wings I found in December 2018. It resembles the wings I found in Pass in 2011. 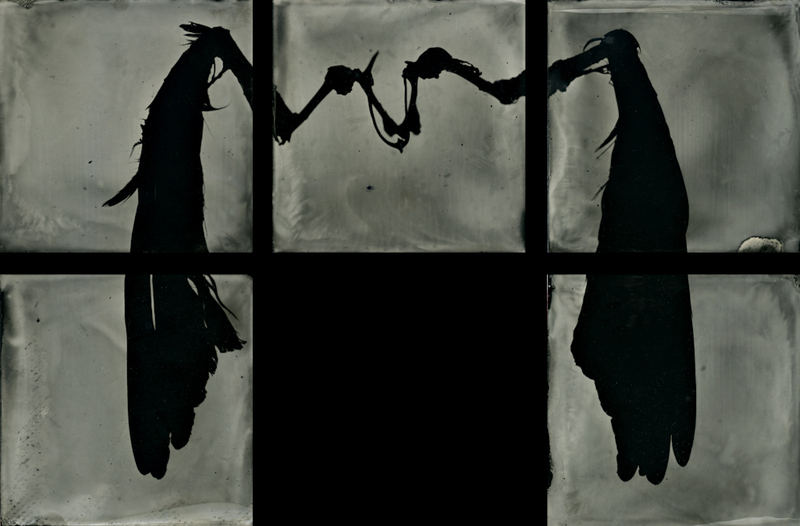 Icarus II consists of five 3" photogram tintypes signed and dated. 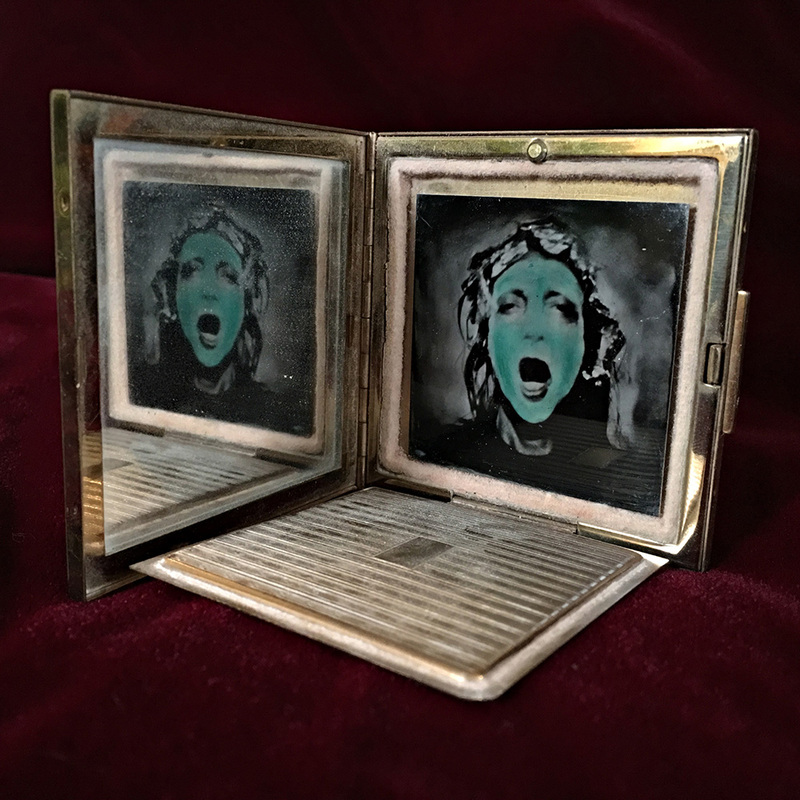 Medusa is a hand-colored wet plate tintype mounted in a vintage powder compact. My father used to call me Medusa of the snakey locks as a child but this piece is about beauty/vanity and as you know you must view Medusa in a mirror or risk turning to stone. 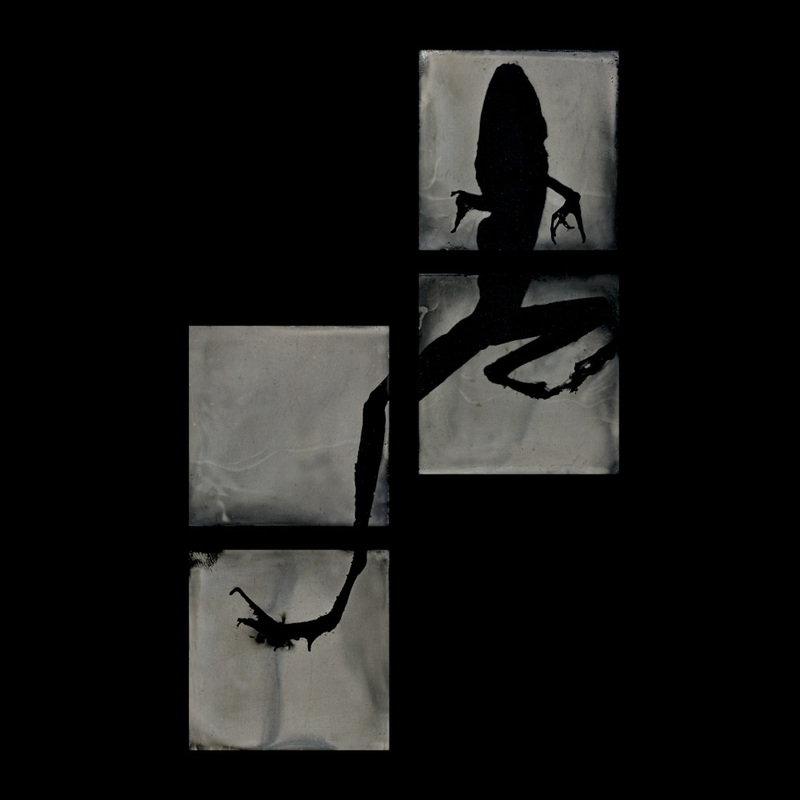 Two of the pieces are wet plate collodion photograms consisting of four 2 inch plates that will arrived signed, dated and in a red velvet bag perfect for gift giving. Each are priced at $100 plus $15 shippping and handling domestic -please contact me for international shipping. Click continue to portfolio > click an image > click $ purchase options (or more info then purchase options) > then click add to cart.